The MTV Movie Awards is an annual award show presented by MTV to honor outstanding achievements in films. The Winners of the awards are decided online by the general public. Nothing seems to stop Leonardo Dicaprio, who won the Oscar for the best actor in 2016. His most popular role was Jack Dawson in the fantastic movie, Titanic. One year earlier, he played a sweet Romeo with Shakespeare’s play. Since fifteen years old when he began a career in film Leo managed to gain our hearts with his passion for acting. Shutter Island, Inception, The Great Gatsby or The Revenant are just a few movies which put DiCaprio in a high place on the top of the most talented actors. With 37 movies + television series he has almost 90 wins in his all career. According to IMDB the American actor received four “golden popcorn” statues at MTV Movie Award over the years. In 1998, Leo won the first one for his stunning role in Titanic at the Best Male Performance category. IMDB Synopsis: A seventeen-year-old aristocrat falls in love with a kind, but poor artist aboard the luxurious, ill-fated R.M.S. Titanic. 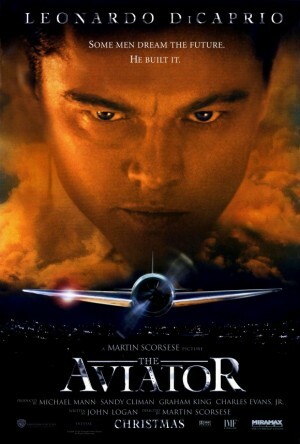 Leo won the Best Male Performance in 2005 for The Aviator role at this award show. IMDB Synopsis: A biopic depicting the early years of legendary director and aviator Howard Hughes’ career from the late 1920s to the mid-1940s. In 2014, DiCaprio won the Best WTF Moment category for his role in The Wolf of Wall Street. 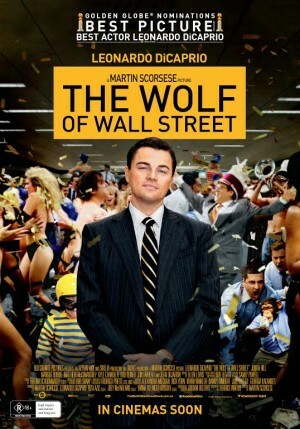 IMDB Synopsis: Based on the true story of Jordan Belfort, from his rise to a wealthy stock-broker living the high life to his fall involving crime, corruption, and the federal government. This year Leo was and still is the most awarded actor with The Revenant. The actor won the Best Male Performance at MTV Movie Award. IMDB Synopsis: A frontiersman on a fur trading expedition in the 1820s fights for survival after being hurt by a bear and left for dead by members of his hunting team. I hope you’ll watch the latest film of Leonardo DiCaprio, The Revenant. Please come back and tell us your opinion about it. In love with music, TV Series and travel, Lauri is actually Hamlet's real wife.